I haven't done a good auld favourites post in quite some time and I feel like it is long overdue. I have heard so much about this facial spray online and when my friend Adrian was heading to the States for Christmas and I asked her to pick me up on of them. I use this to freshen up my face after a long day and also I use it to set my everyday makeup. 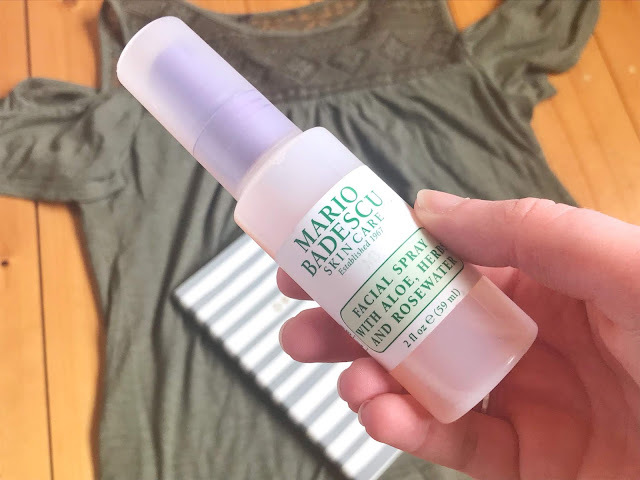 I didn't like the mister that came with it as it felt like someone sneezed on me every time I used it so I swapped it for a mister a had from an empty Urban Decay All Nighter Setting Spray and I find it much better. 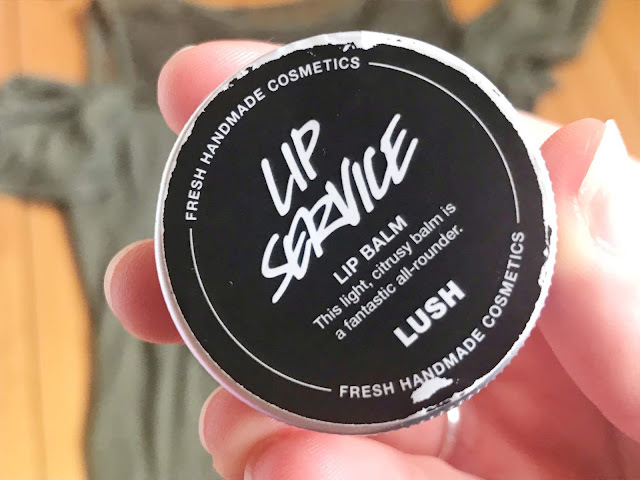 I picked this up on a complete whim just before Christmas, I knew Lush would have good quality lip balms that don't contain a load of filler ingredients. I don't think I've ever found a lip balm that lasts all night like this one does. I normally put some on before I go to sleep and usually when I wake up I can still smell it and feel it on my lips. I never tried any Lush shower products before but I got this as a Christmas Set and I love it! 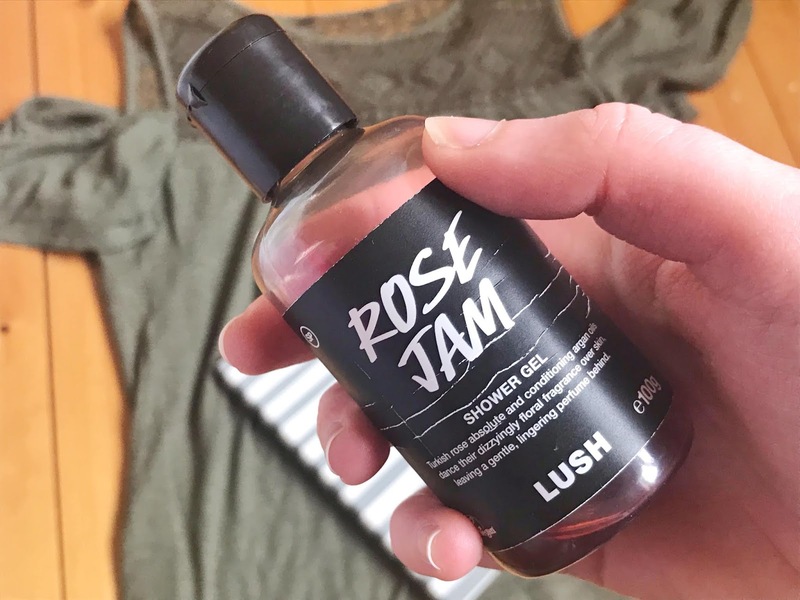 It does exactly what a standard shower gel does and the standard Rose Jam scent stays on my skin for a while, the only thing is if I put on body lotion afterwards I can't smell it as much. Another thing that is raved by many online, this has been on my wishlist for a while and I've been loving it and using it nearly every day since I got it. It is a pearly coral shade which suits my pale skin. 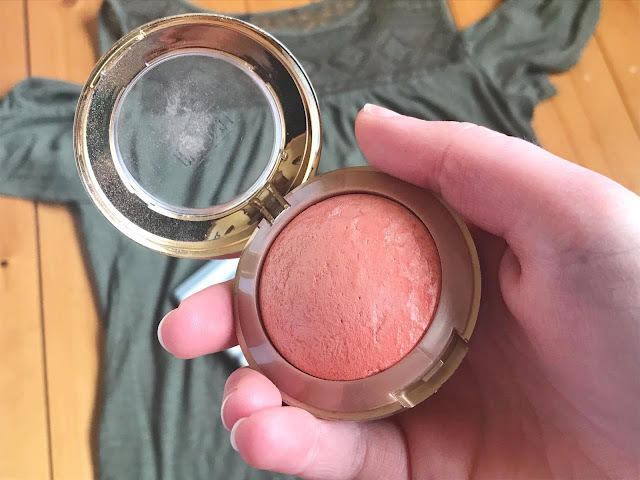 I was never really a blush person but I know now that it adds so much to a look especially if you don't want a bronzed look. 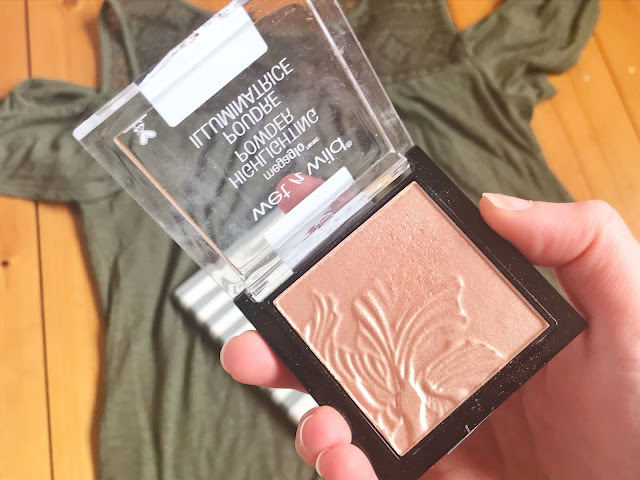 The only thing that I can say is the packaging is a pain, it is very bulky for such a small pan as it has a hidden section that has a crappy brush and a mirror. 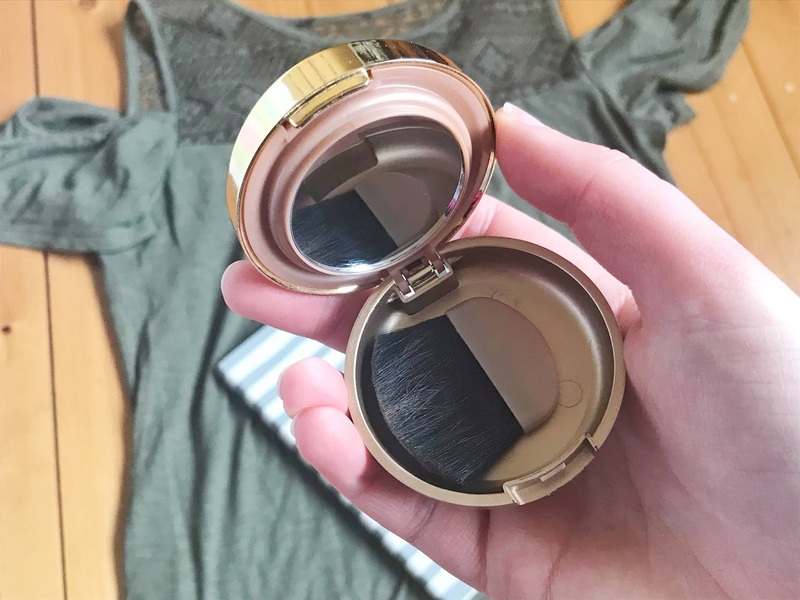 I found prefer for the product to be less bulky then have a mirror and a brush. 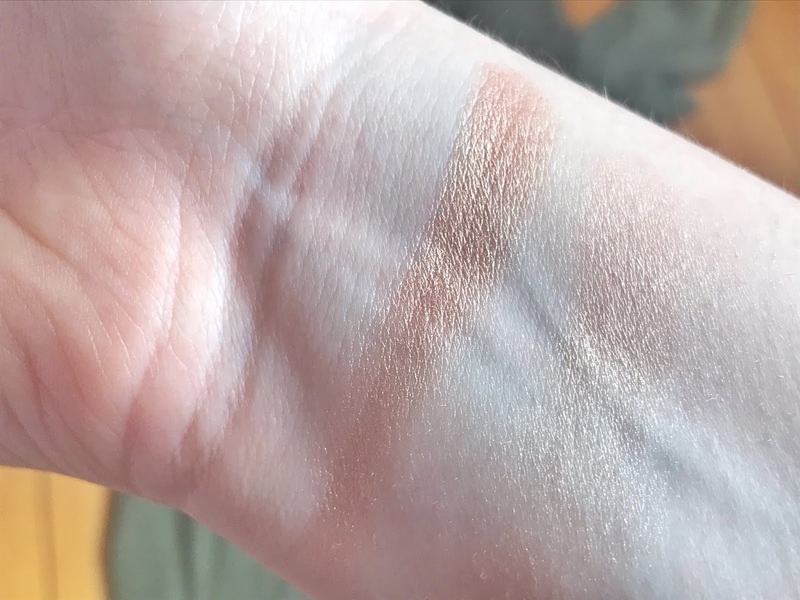 I decided to branch into different shades of highlighter as I've always stuck to the icy cold ones as they suit me the best. 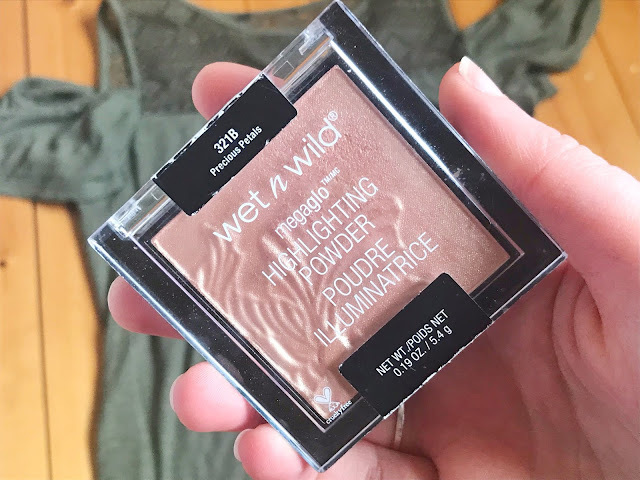 I am quite surprised that I ended up liking this as it is a peachy gold highlighter. 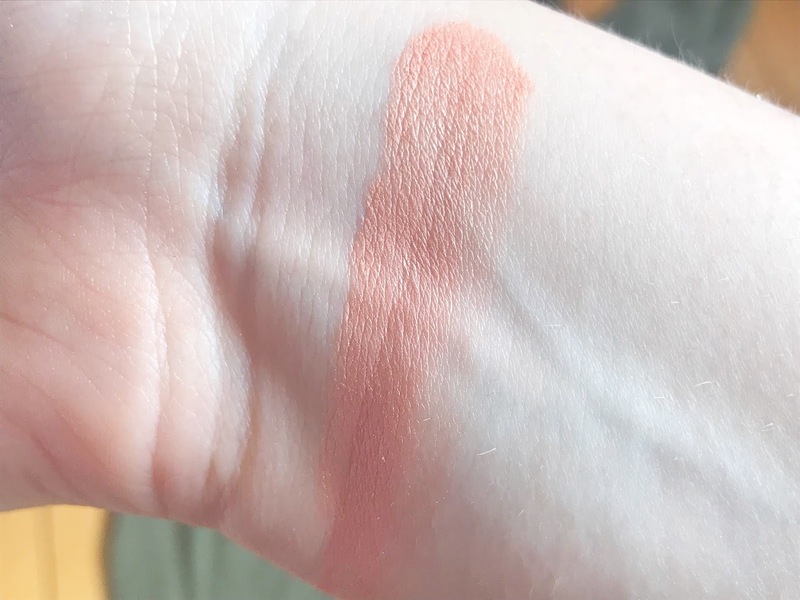 I have to have a light hand when applying as I look kinda strange with a streak of peach. I think it would suit someone with a darker skin tone than me better but I really like it. I haven't tried it as an eyeshadow yet but I hope to try it at some stage. 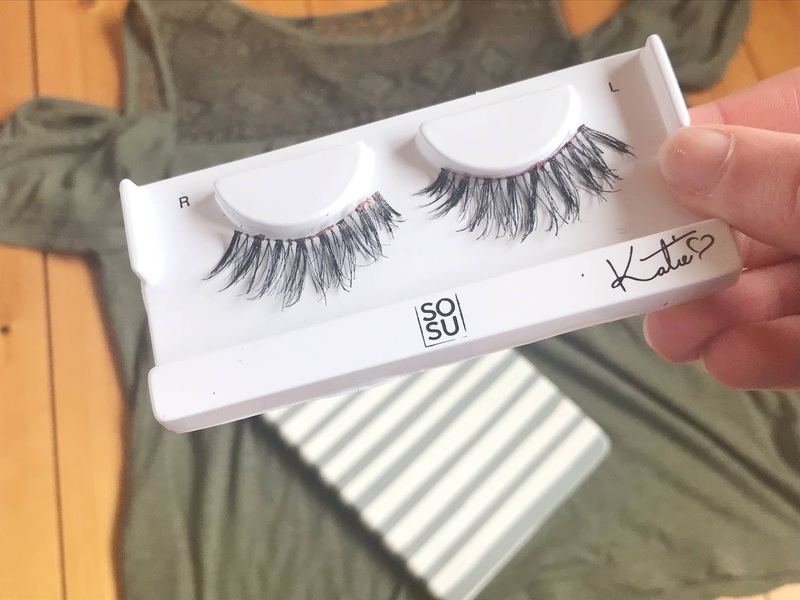 As you can guess by the state these lashes, I've worn them quite a bit at least 6 times! They are still going strong, a tad bit misshapen but they are still in good enough condition. I was never a fake lashes gal until I was wearing them for my debs and I realised how they can change a look completely and they can even suit hooded eyes like mine. After much research into the best lashes for hooded eyes, I came across these and since I bought them I've fallen in love with them. The first time to put them on was a little difficult but after that, I got the correct way of putting them on. I love these on my eyes as they are tapered, whispy and don't look too fake. I've tried fake lashes before that looked horrendous on me as the shape didn't suit my eye shape. The only thing that is a little annoying is the price, they cost between €6-€7 but that doesn't include eyelash glue. They aren't as expensive as the like of MAC fake lashes but it is a pain that I've to get eyelash glue on top of it. 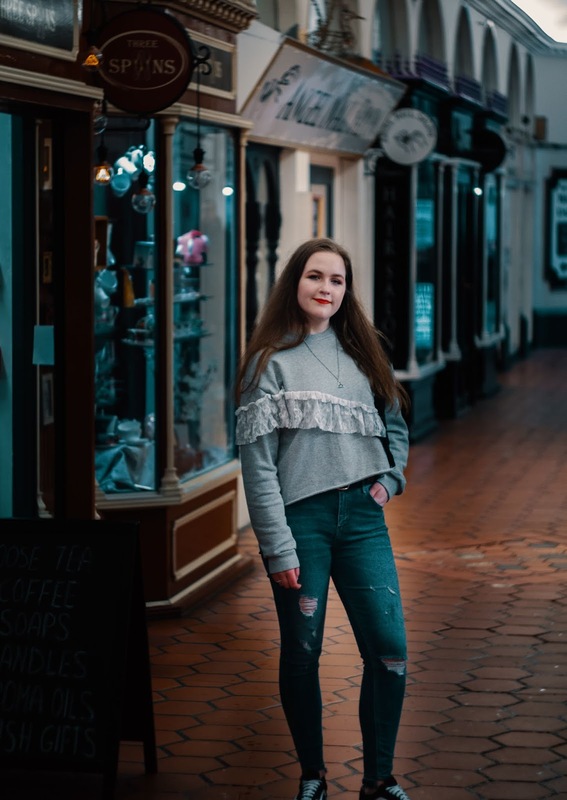 I would describe myself as a semi-organised person, I like to be able to plan things and get my life sorted out so I don't have to worry about forgetting to do something or forget about an event. I don't think my system is foolproof but it works and that's all that matters to me. So here's how I keep my life organised for anyone who wants to know including my friends. 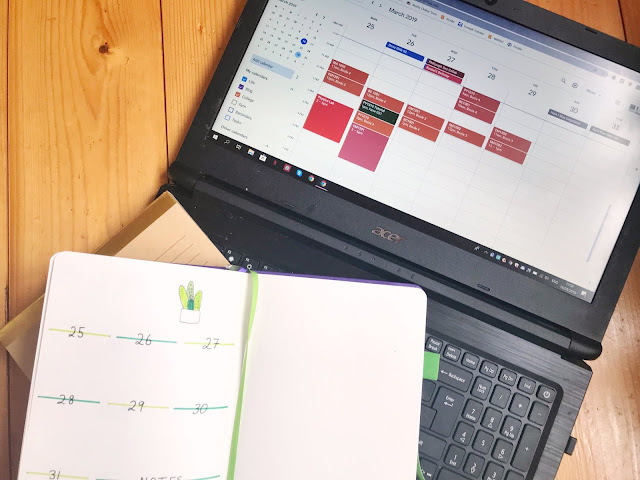 I use two different systems to organise my life in all aspects, college, blog, hobbies and events which are my bullet journal which I have been using for over a year now and I've now added Google Calendar too. 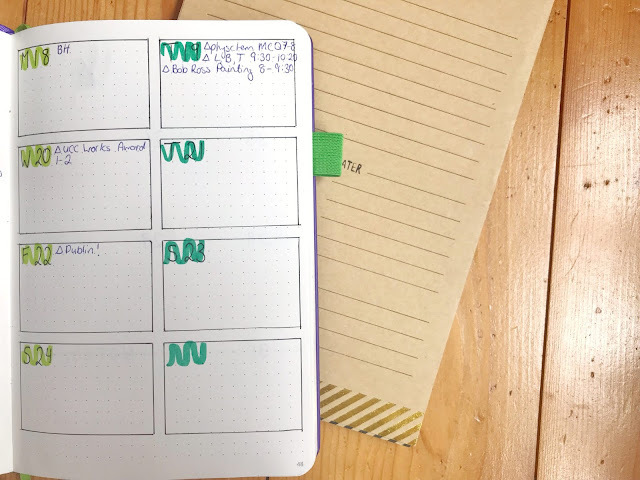 I didn't want to use Google Calendar at first as I didn't want it to take from my bullet journal but it actually adds to it. I feel like my bullet journal is pretty easy to understand. In my monthly spread, I put in all my events for the month and I reference my future log and semester at a glance. Then with my weekly spread, I put my events for the week normally at the top of the day and then my to do's underneath. Now you are probably thinking, where does Google Calendar fit into this? 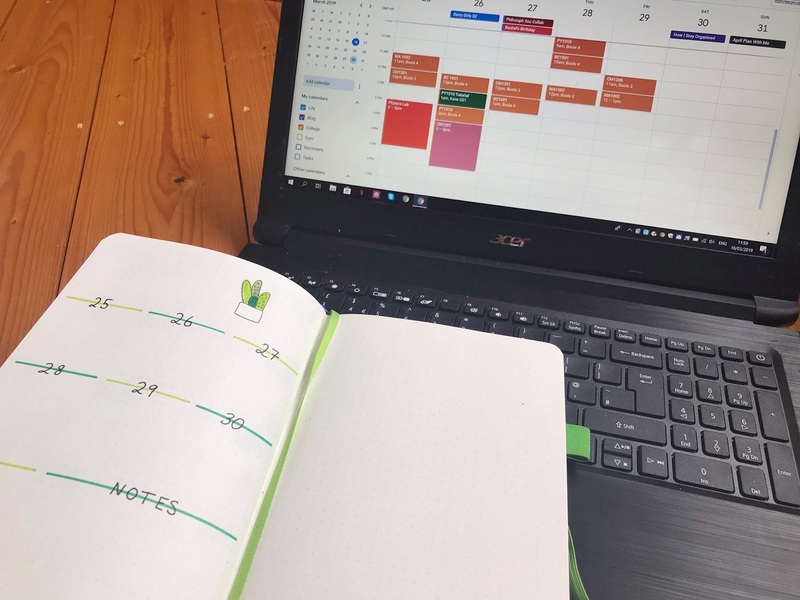 I use it to visualise my week, I have several different calendars just to keep things separate, Life, College and Blog. I have my college timetable for every week and edit it to what labs that I have on a particular week. Then I put in any events like if there is a Harry Potter meeting or a college event that I want to go to and I know that I have time to attend. Then I add times to do college work and blog work. 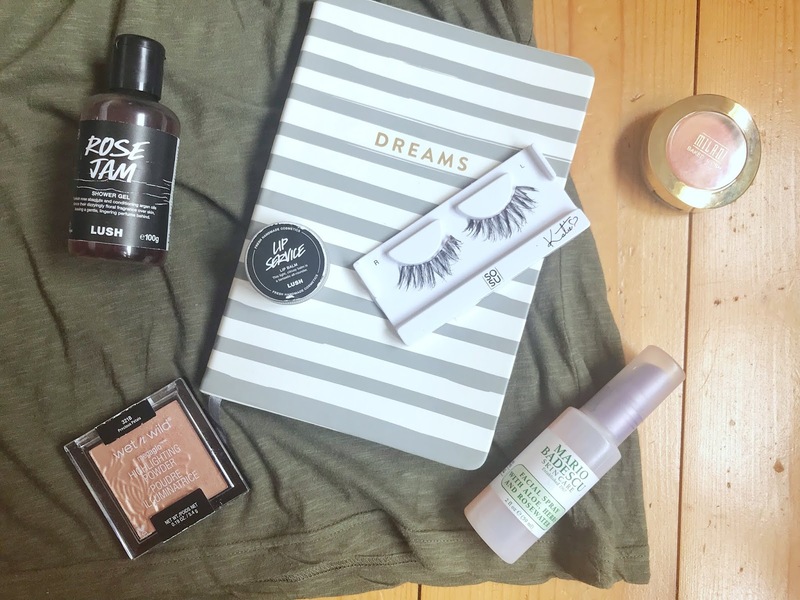 My Blog calendar contains my blog post schedule, Instagram post and story schedule. I found I needed to add my Blog to my calendar as I would always forget to do something and I do have time. The other calendar I have is for the gym, it has all the different classes that I would be interested so if I have some time and want to work out, I can see which ones are on and what suits my schedule. This system works for me at the moment and I'll change it when it stops working. Unfortunately, it doesn't prevent me from procrastinating as I still do that a lot but at least if I know what needs to get done I won't procrastinate as much. Today I've decided to go somewhere where I have never really gone before and that is a fashion post *insert dramatic music*. With coming to college I've become more adventurous with my clothes and my fashion sense as I suppose I can't wear the same thing seven days a week without washing something. I've also wanted to start doing the odd outfit post for the fun and to try and branch out in my content. I would like to thank my friend Richard from @richard_hogan_photography for taking these fab photos. One of the things I wanted to do this year was to invest in a better quality wardrobe and try and consume less fast fashion. There are many reasons mainly due to financial and environmental reasons, ya girl is a broke college student. Of course, I will still shop in some fast fashion places but I hope to reduce how much I buy. It's the third month of the year and I haven't bought an item of clothing which I am really happy with, as being in Cork I am less than half an hour walk to any clothes shop. Hearing about how damaging fast fashion is to the environment shocks me to the core, it is one of the highest polluting industries in the world with all the waste and resources used to make these clothes. I see it as a win-win, I am trying to save some cash and do my bit for the environment. 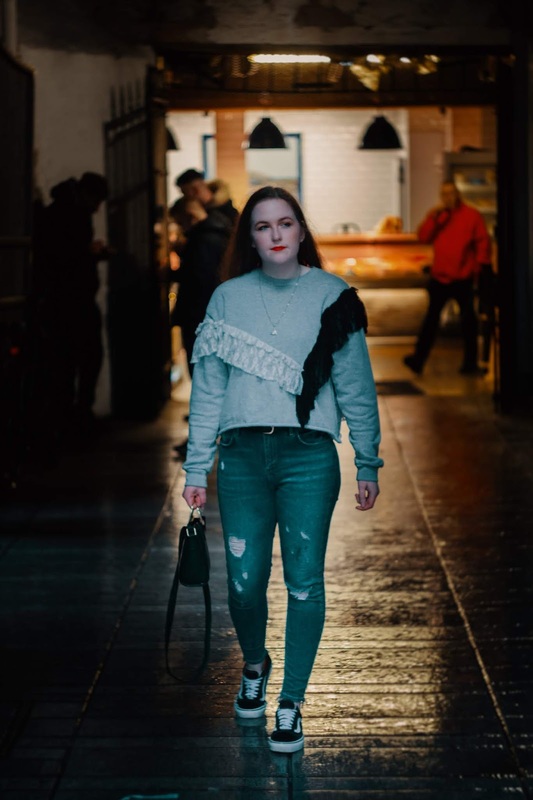 With no new items coming into my wardrobe, I love trying new outfits with clothes that I would never pair together. Of course, it doesn't always turn out so well but so far I've had one semi-fail. I've enjoyed the challenge of trying to make new outfit combo's especially as we exit the Winter season and head into Spring. If I do want to buy something, I will always check the quality and the price. I've kinda departed from spending €3 on a t-shirt that loses its shape after 4 washes. There are several questions I ask myself when I want to buy something, of course, I question quality. Why am I buying it?- Is it just for the sake of buying something new? Do I have something similar?- I don't need another denim dress. Is the style one that will last?- I have noticed that neon is very on trend this year but I don't see it lasting too long. I don't mind having a few on-trend items but if half my wardrobe consists of them it's not good. Going out fashion is probably the hardest to try and keep less fast fashion. I hate the idea of outfit repeats especially with 1001 photos being taken before you head out. 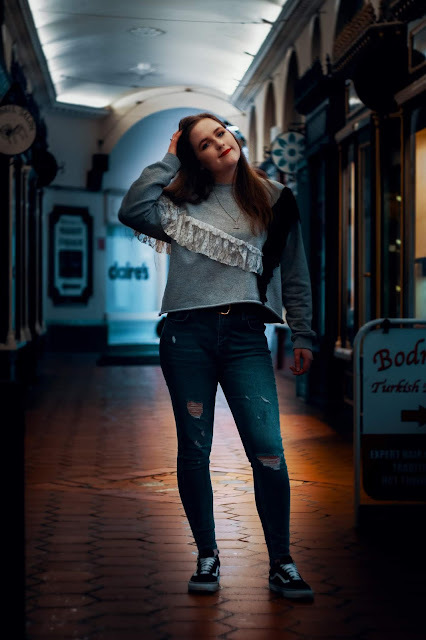 It's easy to think to head to Penneys as you normally end up with alcohol spilt on your outfit, cigarette ash or burn holes or general tears. I am trying to calm the urge to want a brand new outfit with every night out with my friends. After some looking in my closet, I realise there are some things that I have never worn on a night out and once as I've worn everything a couple of times in different combos, I might pick up something new.